Based on what we just saw Battlefield: Bad Company 2 is clearly a very GPU demanding game, and in every situation Crossfire Radeon HD 5870 graphics cards provided a significant performance boost over a single board. Using a pair of these graphics cards to test CPU scaling with the Core i7 920 processor, we find that between 2.96GHz and 2.22GHz there is no discernable difference in performance. However, as we press past 3.0GHz the frame rates start to climb all of a sudden, which is a little odd. From 2.96GHz to 3.70GHz we see a massive 44% rise in the average frame rate. This rise is consistent as we tested at 3.33GHz, 3.51GHz and then finally 3.70GHz. At 1920x1200 the performance boost seen at frequencies above 3.0GHz is not as significant, though still see a 30% rise. Finally at 2560x1600 the game becomes GPU bound and as a result the Core i7 920 allows for the same level of performance at 2.22GHz as it does at 3.70GHz. The game appears to be using all four cores when available. Here we used a standard Core i7 920 processor running at 2.66GHz. Please note HyperThreading was disabled and a single Radeon HD 5850 graphics card was used. 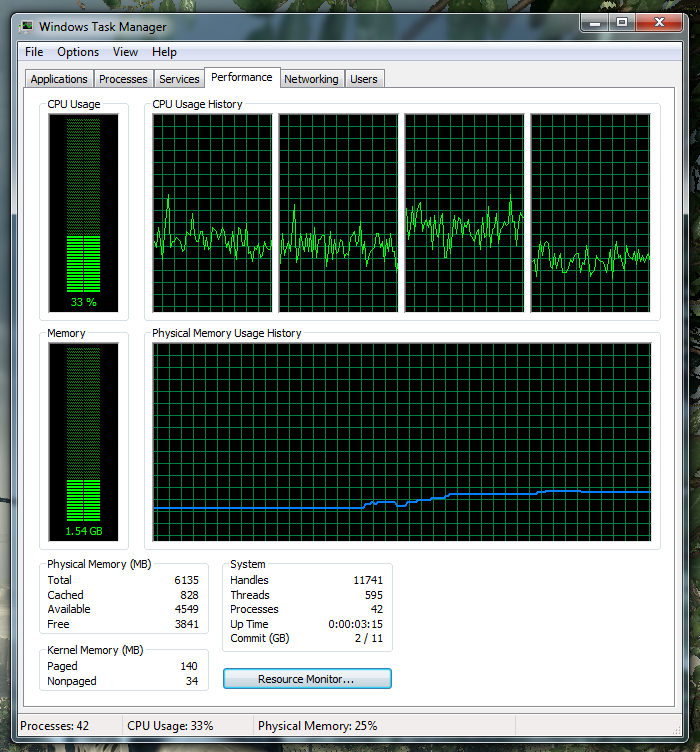 As you can see none of the cores are working very hard. Here is the same Core i7 920 processor with two cores disabled as well as HyperThreading. 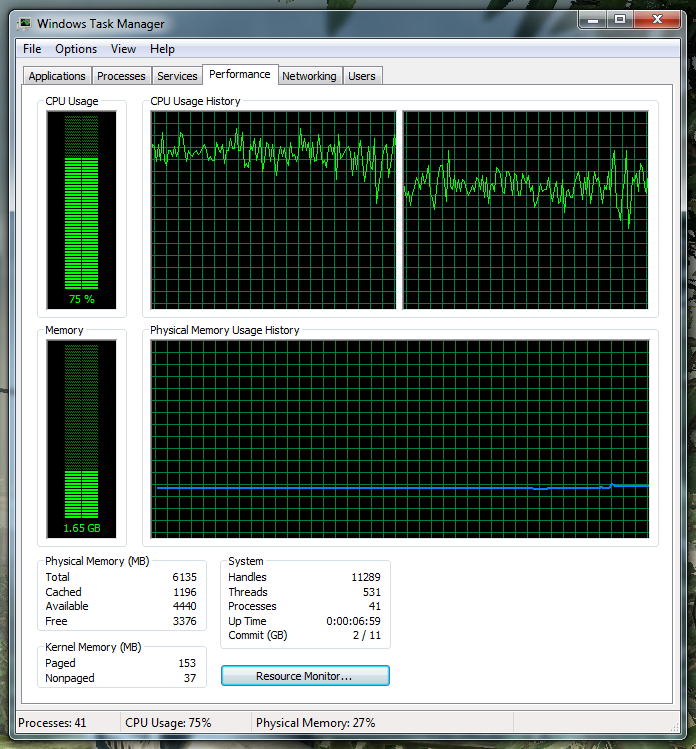 As you can see neither core is maxed out, but the CPU utilization is much higher. So again, a decent dual core processor such as a Core 2 Duo E8xxx or Phenom II X2 should be enough to get the most out of your graphics card in this game. While it is quad-core optimized, the game is not demanding enough on the CPU to warrant it based on what I have seen so far.